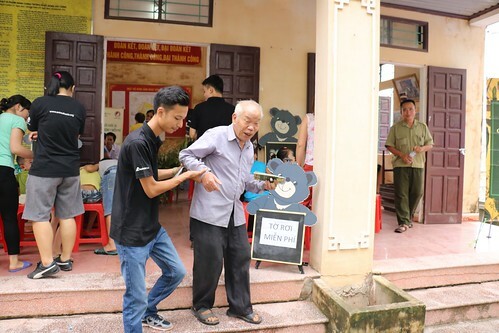 How grassroots work to end bear bile farming is helping Vietnam move ever closer to ending the cruelty for good. 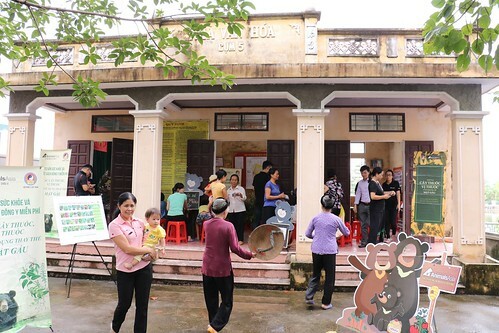 The village of Phung Thuong on the outskirts of Hanoi is notorious for bear bile farming, but things are changing for the better. On a rainy Saturday in September, over 200 pensioners and around 30 children are gathered in the communal house. 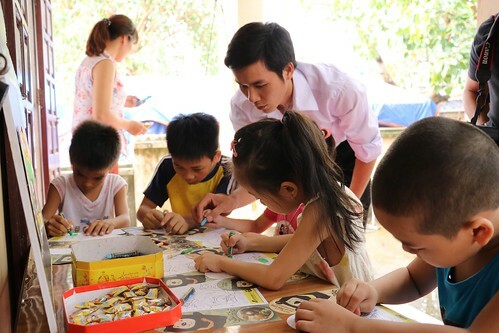 The children are drawing and colouring pictures of bears, while the elderly are being treated by four traditional medicine doctors on behalf of Animals Asia. Most patients complain of back pain and arthritis — the usual after-effects of a hard life. 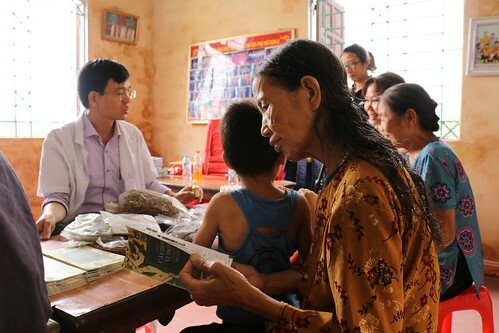 The traditional cure for numerous health issues in this village used to be bear bile. 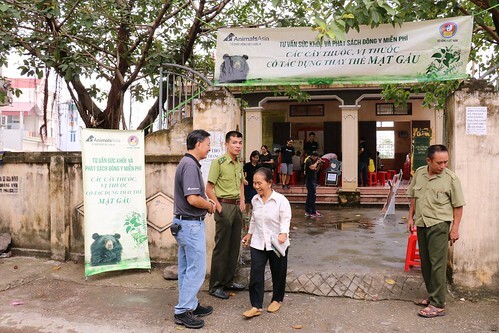 To this day, Phung Thuong remains one of the last major bastions of bear bile farming in the north of Vietnam. The village covers just 6.27km2, but holds 200 bears across 37 households. And that’s why Animals Asia is here. 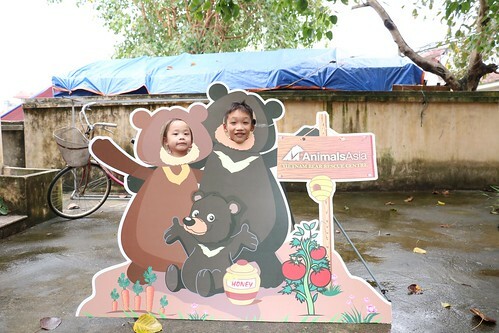 To end bear bile farming, you have to go to the source. 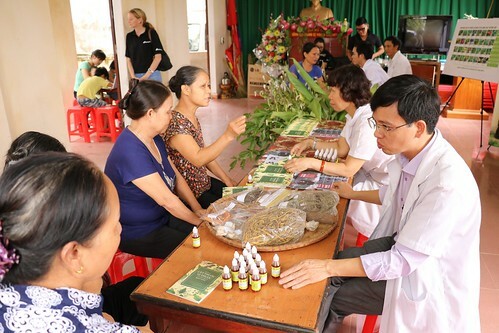 Today, villagers are learning about alternatives to bear bile, which are being explained and prescribed by the traditional doctors they trust. 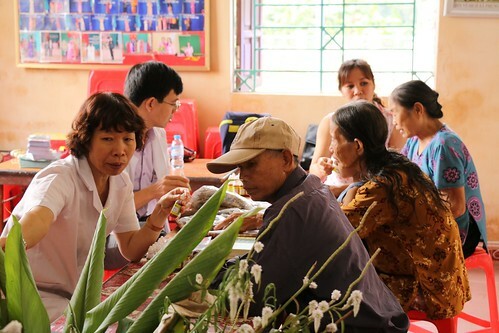 Also in attendance are officials from the Phung Thuong People’s Committee, Forest Protection Department and Phung Thuong Public Security. 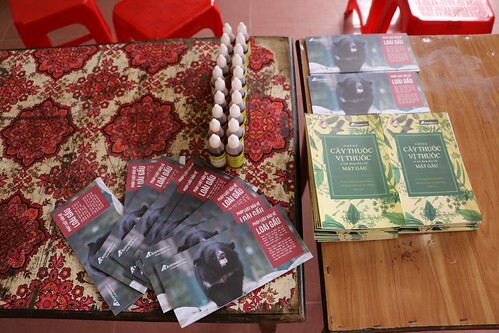 These are partners Animals Asia routinely works with to end bear bile farming in the country — and our joint efforts have resulted in tangible successes. 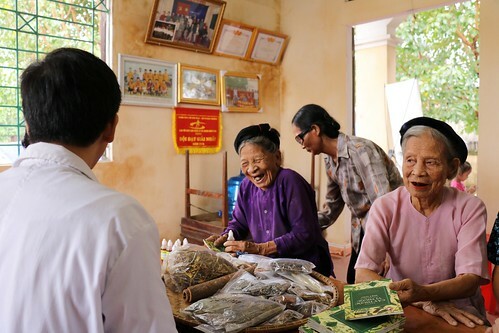 “When we first started working in Quang Ninh province — the home of Halong Bay — it looked hopeless. But perseverance and partnerships with the local authorities led us to the point last year where we closed down the last farm and made the province bear bile free. Today, in Vietnam, the question is no longer will bear bile farming end it’s when. In 2005, when obtaining new bears and extracting bile was made illegal, 4,239 bears were being held. Today, around 1,200 remain. How can they be rescued? “A significant number have been rescued by Animals Asia and will live out their days at our Vietnam Bear Rescue Centre. But we can’t rescue them all — we simply don’t have the space in our sanctuary nor the resources to expand. 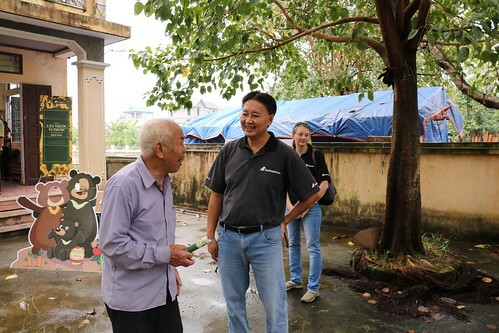 “Bear rescues will continue while we have capacity but our work will also include working with partners — government, forestry, local authorities — on how to end bear bile farming humanely. And making sure it doesn’t start up again. 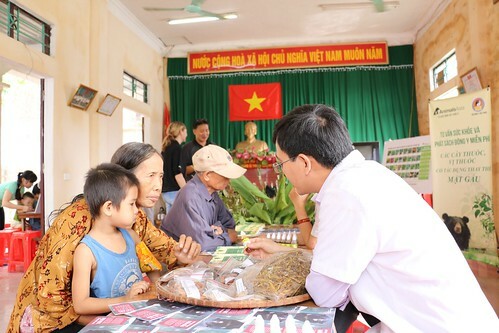 The government-affiliated Vietnam Traditional Medicine Association has agreed that its members will not use bear bile beyond 2020 (pictured below). 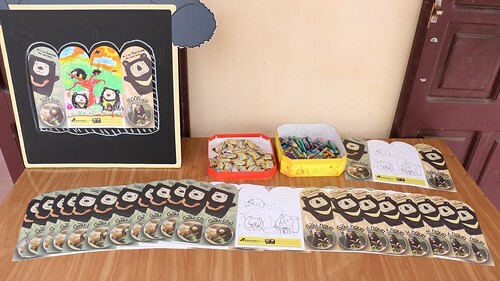 To this end, Animals Asia has drafted a Memorandum of Understanding detailing a roadmap towards ending bear bile farming for good. 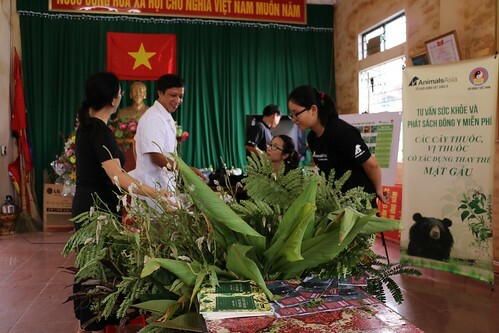 The draft has already been agreed by the Vietnam Administration of Forestry, which is now responsible for promoting the document with the Ministry of Agriculture and Rural Development. Their agreement, which could come in the next few months, would be the green light needed to make the roadmap a reality. Tuan has called on all parties to unite to end bear bile farming for good and to end the cruelty to bears trapped in tiny cages facing regular, painful bile extractions.